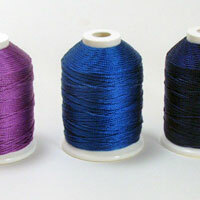 The standard weight nylon thread for micro-macrame jewelry - Originally designed for hand stitching in the upholstery industry (Conso, D & E/Mastex), now several brands such as C-Lon and Tuff are dedicated to the jewelry and beading industry. 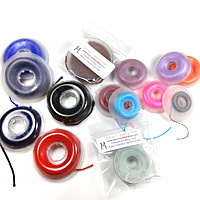 Great for micro-macrame, bead crochet, beads stringing, kumihimo... or any project requiring a strong nylon thread about .5mm in diameter. 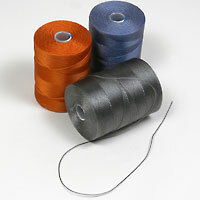 The technical term for this type of thread is 3-ply twisted multifilament nylon made with continuous filaments with a bonded finish. 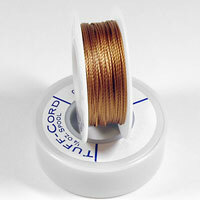 As of late there has been an interest in sizes in between the Nylon #69/C-Lon Micro Cord and the Nylon #18/C-Lon Bead Cord. 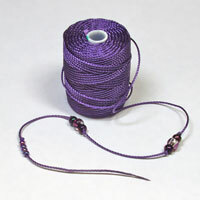 It came as no surprise as these sizes are well suited for bead crochet ropes and some macrame lace type work done with beads with small holes. 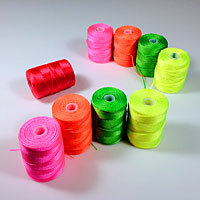 The selection at present is fairly limited: Tuff Size 2 (11 colors/66 yards), Tuff Size 3 (16 colors/49 yards), and some newly found vintage spools of Tex 135 nylon (10 colors/180 yards). 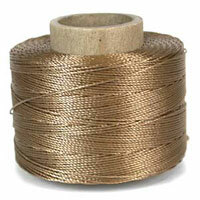 As of February 2010 C-Lon is addind a new size, the C-Lon Tex 135 Fine Weight Cord. 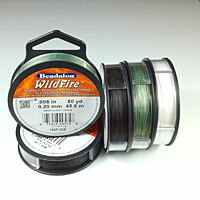 It is available now in Black & White with plan for at least 16 colors for this year. 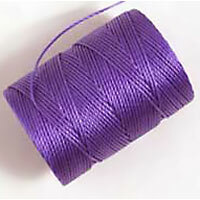 A strong thin bonded 3 ply twisted multi-filament thread with diameter of approx. 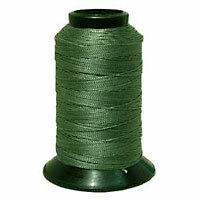 0.115mm, similar to size E nylon thread. 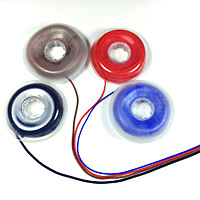 C-Lon introduced the Micro Cord as of June 2007. 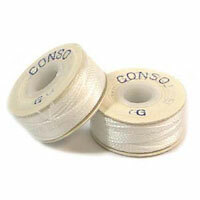 The Conso bonded nylon #69 was originally designed for machine and hand stitching. 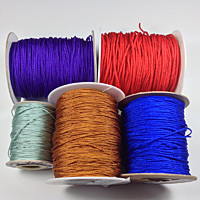 These thread are great for 'super-micro-mini'-macrame, beading projects, bead crochet, tatting, needle lace and are also well suited for stringing fine beads, bead embroidery and bead weaving on or off loom, or any project your imagination can conjure... 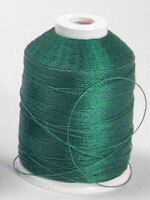 Especially well suited for stringing beads to be incorporated in kumihimo projects. 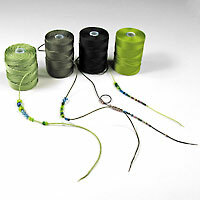 The new heavyweight Tex 400 C-Lon® Bead Cord is a great addition to the C-Lon family with diameter of 0.9mm and a 75 lb breaking strength. 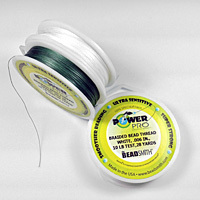 As the C-Lon Bead Cord and the C-Lon Micro Cord , it is a bonded 3 ply twisted multi-filament thread. 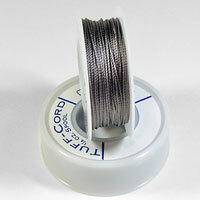 The only other comparable thread is the thinner Tuff Bead Cord in Size 7, available in Black and White only. 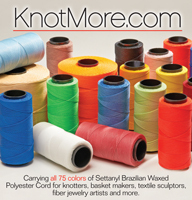 For micro macrame, stringing beads, bead crochet, kumihimo, tatting, finger weaving as well as many other uses where a strong bonded nylon is required. 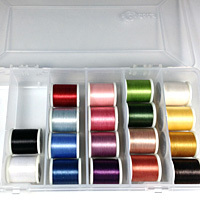 All 32 new colors are in! 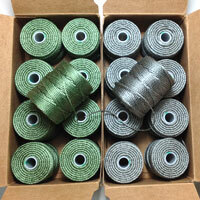 Order all 32 New Colors of Tex 400 ! 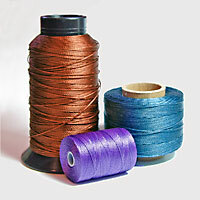 Chinese knotting cord is a braided nylon cord mainly used for Chinese and Japanese ornamental knotting. 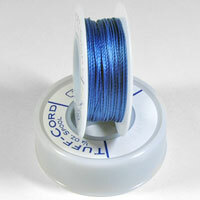 It can be intermixed with other cord such as C-Lon Bead Cord and Nylon #18, or used for micro macrame by itself. 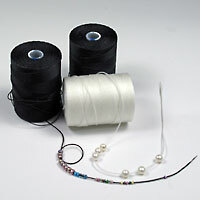 It is also useful when stringing antique beads with larger holes. 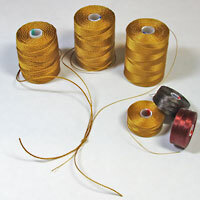 Sizes are available: Medium 1.2mm although often listed as 1.5mm in diameter, fine 0.8mm in diameter and extra fine with about 0.6-0.7mm in diameter and Micro sizes with diameters smaller than 0.6mm. 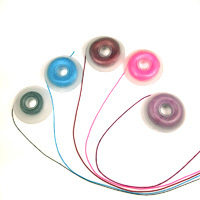 In all the sizes the cord smooth, soft and flexible. 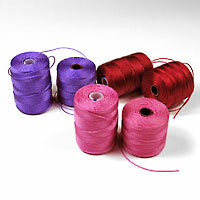 They all have a cord at their center core to keep them rounded and increase their firmness. 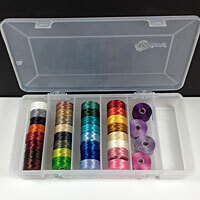 C-Lon Bead Thread is designed for bead weaving on and off loom, bead stitching and embroidery with seed beads and English beading needles as a better alternative to Nymo thread (Nymo was originally created for the shoe industry). 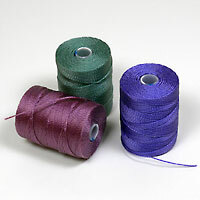 Unlike its siblings the C-Lon Bead Cord, the C-Lon Tex 400 Bead Cord and C-Lon Micro Cord, this thread does not have multiple plies, it's a 1 ply monocord, floss or ribbon like and flat. 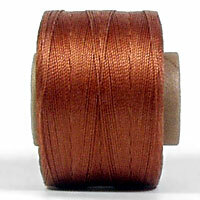 Great for wrapped leather bracelet as it flattens against the leather and does not roll off position. Available in Size D and AA. 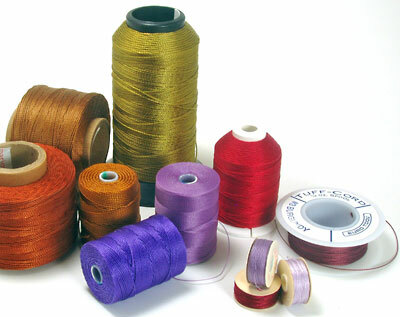 KO Beading Thread is similar to CLlon Bead Thread Size AA, but is comes prewaxed so it saves a step if waxing is desired to keep the thread from separating. 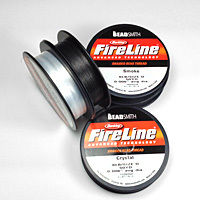 Other Options - FireLine, Power Pro & WildFire, all made with Spectra or Dyneema, an ultra high molecular weight polyethylene and coated with a thermally applied bond. 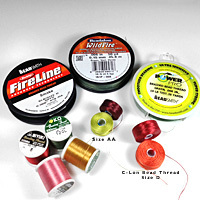 > Read more about beading thread option on this post, but regardless of which type of thread you choose, careful handling of the thread, good bead edges, working with short length and blunt needles will help preserve the thread in good condition. 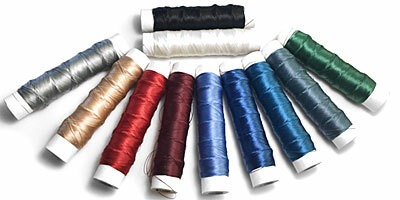 Synbond is a high quality high bond synthetic German thread with a high tensile strength. 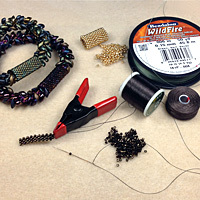 See artists recommendations for their students. 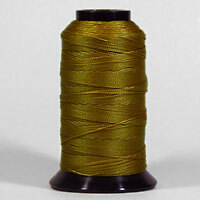 Check the thread specification page. There is lots of info on that page. Or request samples. Still not finding what you are looking for? 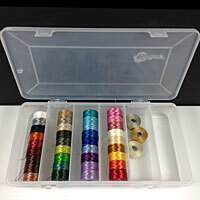 Check the thread specification page, request samples, or contact us by email or phone.